Spring 2015, I was invited to be a Guest Artist using "The Pen" in the newly designed Cooper-Hewitt Smithsonian National Design Museum's Immersion Room. I was excited to explore the collection after drawing the Object of the Day, in "Everyday I'm DrawArt-ing" (2014). Cooper-Hewitt sure is a cool museum! 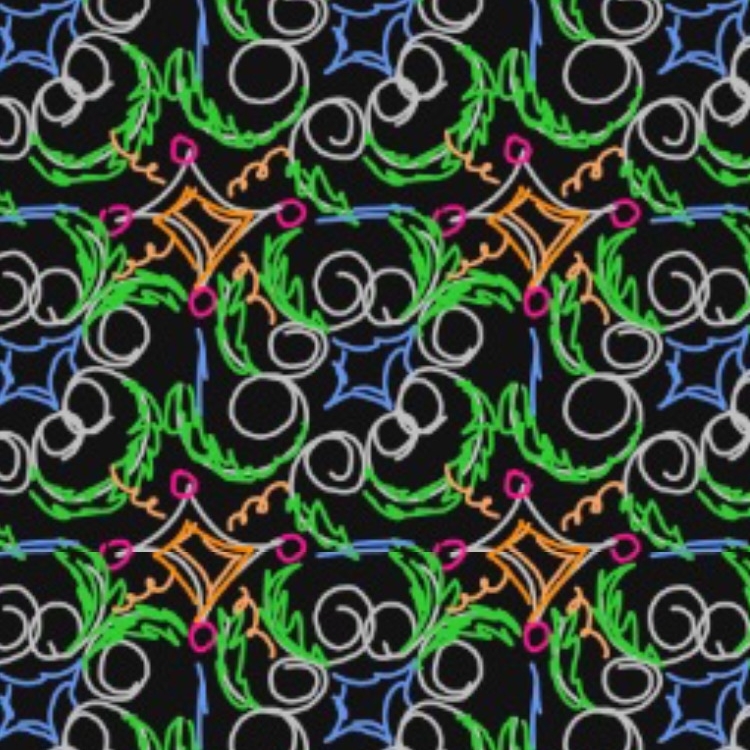 I created this video, on my iPad with #DrawArt drawing program, as a Thank You to the entire team at The Cooper-Hewitt Museum for their generous welcome as a Guest Artist in the Wallpaper Immersion Room, April, 2015. Works from the collection of Cooper-Hewitt. I draw groovy plaid on iPad with #DrawArt iPad program. This video is projected live at #GalleryPaige in the downtown Minneapolis City Center. This work is inspired by the new paintings created at #GalleryPaige, of the wallpapers in the suburban home she grew-up in during the 1980's, and her recent visit to The Cooper-Hewitt National Design Museum's new Digitally Immersive Wallpaper Room. These images of painted prototypes and soft architectural mock-ups depict early experiments in conceptualizing interactive and biometric wall treatments. 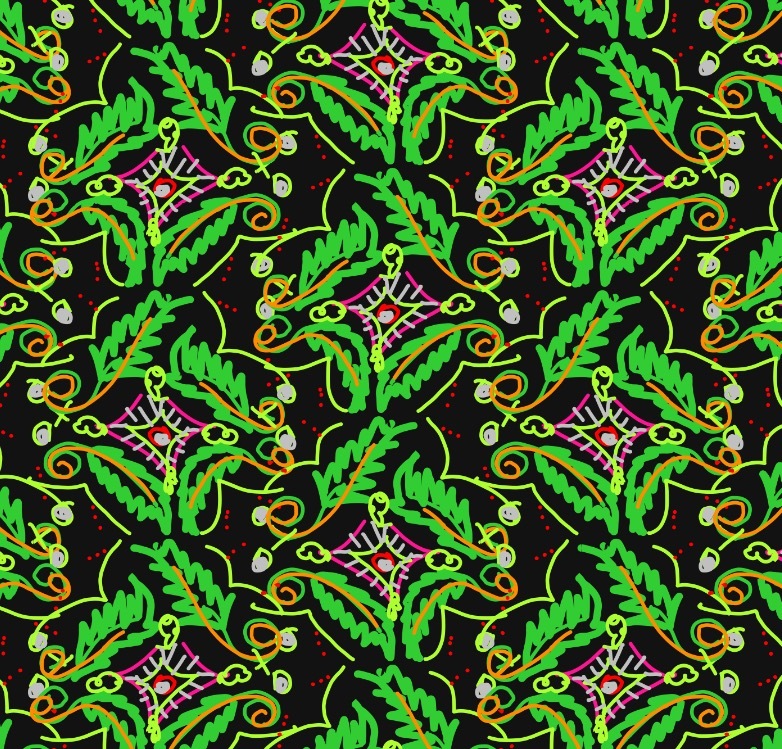 Inspired by the wallpapers in the home I grew-up in during the 80's. Interactive Biometric Soft Architecture on the exterior of an urban building, or interior of a public space could read the data from people's smart watchs or mobile phones. The surface may change colors on how or many people in area, was feeling. Using mobile data to show how I was feeling: emotionally or physically. utilizing emojis I recently texted or tweeted, or my body temperature to visualize colors morphing according to my heart-rate, how fast i was walking or running, or if I was excited to meet a hot-date! Plaids may morph according to my mood, or by connecting me to my friends for a shared social experience. Together we weave patterns that bind us to a better world, experienced together. Polka-dots inspired by my first stretched canvas painted at a teen in museums inspired a series of Livestreaming through Twitter's Periscope App, in a participatory painting project called #whatcolorislove. People commented what color dot to paint next in this crowd-sourced work, but it could continue as a social game exhibited on a huge LED billboard. The public can tweet what color dot, or filter on a selfie uploaded into a dot. Connecting with others all around us is important part of the future of surface design. Selfie digital micro-tiles as digital sequins could be used to shape organic architectural forms or the contours of the fashion runway. Boxes could be wrapped in reactive papers with changing images as the public uploads content. The same boxes may be used for Projection Mapping by community or online members for connected storytelling. Images may more from one content to the next, from birds to bees in new biometric and mobile-connected wallpaper design concepts.